Courtesy of City Pass, Inc. If you've seen advertisements for the Southern California CityPASS, you may wonder if their claims are too good: Can you really save 30 percent? Does the Southern California CityPASS really deliver? To find the answer, it takes a calculator (well, actually a spreadsheet). You need to look up all the prices for every attraction and add up every combination you can think of. That's a lot of trouble, but you don't have to go through it. This skeptical evaluation does it for you. Southern California CityPASS: What Is It? 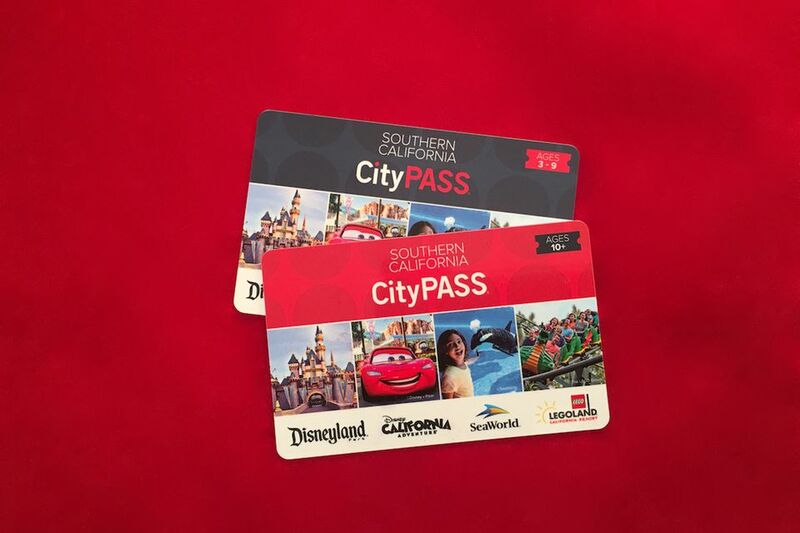 The Southern California CityPASS is a so-called multi-attraction discount card. You buy one pass for several attractions at a discounted price, saving money in the process - at least in theory. Whether it will save money for your trip depends on what you want to do. All of the options are below, after the explanation of how it works. You buy a Southern California CityPASS and use it to get entry at each attraction. You can also have them ship a card to you. After you use it at your first attraction, you'll have up to 14 days to enjoy the others before it expires. You can stay out of line at the attractions if you buy it online - or you can get it at the box office of any included attraction. Disneyland: Three-Day Park Hopper ticket with Magic Morning entry privileges to Disneyland on a Tuesday, Thursday, or Saturday. San Diego Zoo tickets: You can upgrade your ticket to include the San Diego Zoo or Safari Park and save about 20% on that ticket. If you were thinking this pass also included Universal Studios, that was dropped in June 2015. Will the Southern California CityPASS Save You Money? If your child is 3 to 9 years old, the percentage savings on their CityPASS are somewhat higher than they are for adults. You get the maximum savings mentioned on their website if you buy the Southern California CityPASS with the add-on mentioned above. For the Disneyland/LEGOLAND/Sea World combination, you will pay less than if you bought all those tickets separately. If you want to visit Universal Studios and some of the other Los Angeles area attractions but aren't going to Disneyland or Sea World, the Go Los Angeles Card may be a better option. For Sea World and other San Diego attractions, also try the Go San Diego Card. The only way to know for sure: Add up the full-price costs of each attraction or activity you want to do and compare that to the CityPASS cost. When you do that, keep in mind that Disneyland and Sea World charge adult admission for everyone 10 years or older. At Legoland, adult admission is age 13 or older. Buy your pass online to save time standing in line. You can also buy the Southern California CityPASS at the box office of any included attractions as described above. CityPASS is one of quite a few options for saving money on the most popular attractions in San Diego. Check them all in the San Diego discount card guide. If you want to save money on your Southern California trip, you may also want to find out how to get the best bargains for your LA visit, what to do to get the best bargains for Disneyland and use these tips to find more San Diego vacation bargains. You may also want to find out how to use Goldstar to save money on your trip and at home.